First Floor 152 sq. 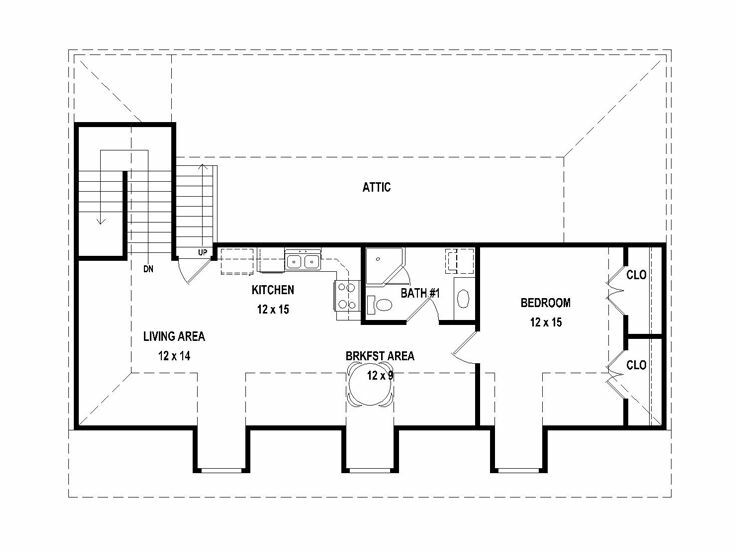 ft.
Second Floor 782 sq. ft. Depth 37 ft. 0 in. Approx. Height 29 ft. 10 in. 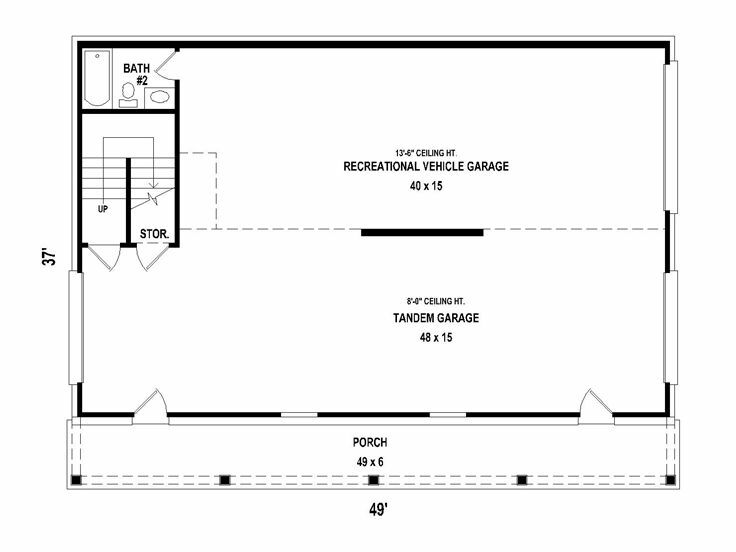 This drive-thru garage plan is flexible enough to accommodate a variety of needs beginning with the tandem bay that easily stores multiple cars or converts to a workshop, storage space or whatever you might need. This drive-thru bay makes things easy when it comes to parking or storing items in the garage allowing access from either end. 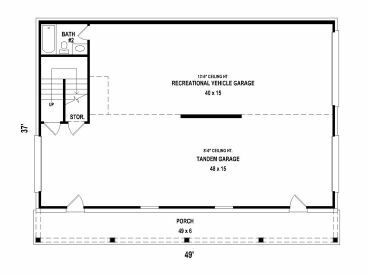 Attached to the tandem garage is an RV bay, perfect for protecting your home away from home when you aren’t on the road. 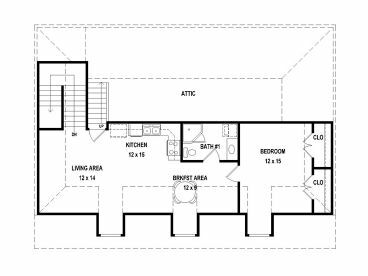 The main level offers 1406 square feet of garage and storage space with a full bath tucked in the corner for convenience. 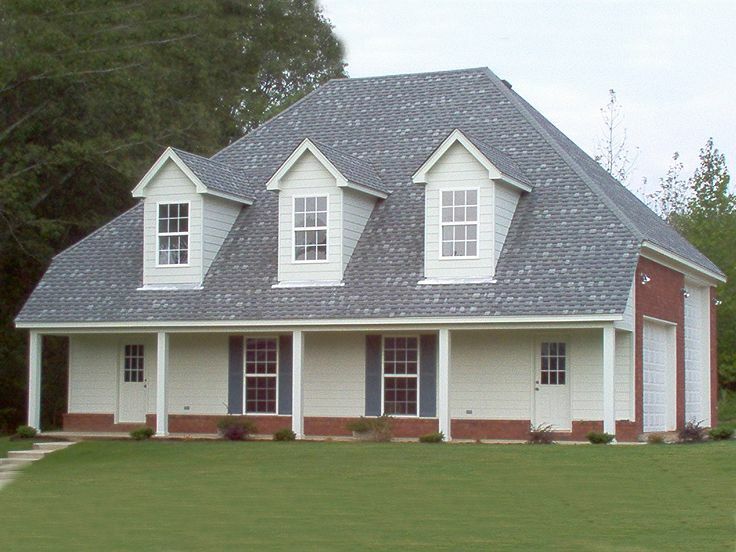 Don’t miss the full-length covered porch giving you a peaceful place to relax at the end of the day. Interior stairs lead to the second floor living quarters. Use this space for rental property, an in-law suite or a private space for your college student or boomerang kids. Three dormer windows light up the living spaces. The kitchen breakfast area and living room join forces creating a comfortable living area. Two closets outfit the spacious bedroom and a full bath is at your service. A combination of practical parking and storage topped with comfortable living, this RV garage plan with apartment is a valuable addition to any piece of property.